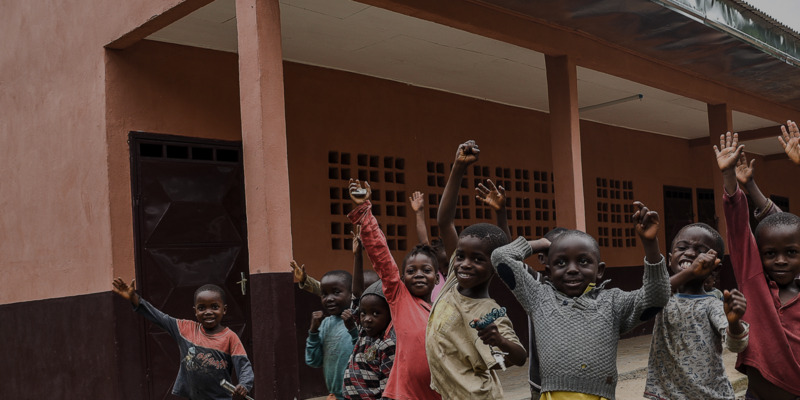 Children from the Ebaka community in front of the village school’s new classrooms, one of the community development projects that came out of the Chad-Cameroon pipeline dialogue process, Cameroon, July 2018 (Rodrigue Mbock/CAO). The Office of the Compliance Advisor Ombudsman (CAO) is the independent accountability mechanism for the International Finance Corporation (IFC) and the Multilateral Investment Guarantee Agency (MIGA), members of the World Bank Group. CAO’s mandate is to address complaints from people affected by IFC and MIGA projects and to enhance environmental and social project outcomes. CAO reports to the President of the World Bank Group. Learn more at www.cao‑ombudsman.org. 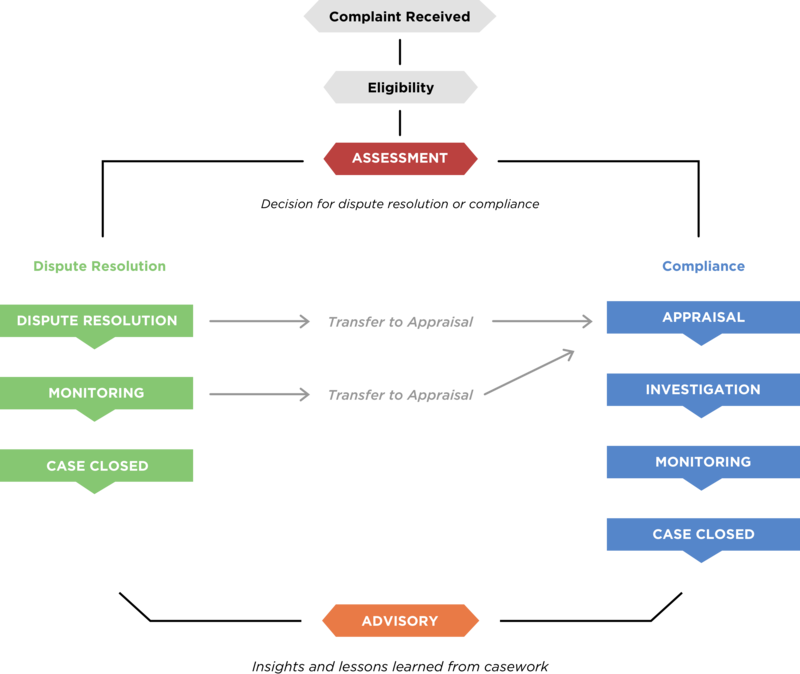 Through its dispute resolution function, CAO attempts to resolve complaints through a flexible, collaborative, problem-solving process between project-affected people, IFC/MIGA clients, and other relevant stakeholders. Through its compliance function, CAO investigates the environmental and social performance of IFC and MIGA to ensure compliance with relevant policies and commitments. Through its advisory function, CAO gathers insights from its casework to generate advice aimed at strengthening IFC and MIGA development outcomes. This annual report covers Fiscal Year 2018 (FY2018), which ran from July 1, 2017 to June 30, 2018. All dollar amounts are in US dollars unless otherwise indicated. All other queries on rights and licenses, including subsidiary rights, should also be addressed to the Office of the CAO at the above address. The findings, interpretations, and conclusions expressed are those of the author(s) and do not necessarily reflect the views of the Executive Directors of the World Bank Group or the governments they represent. CAO does not guarantee the accuracy of the data included in this work. The boundaries, colors, denominations, and other information shown on any map in this work do not imply judgement on the part of CAO concerning the legal status of any territory or the endorsement or acceptance of such boundaries. © 2017 Compliance Advisor Ombudsman (CA0). All rights reserved.